HUMAN DIETS AND food production must “change dramatically” by 2050 to avoid potentially catastrophic damage to the planet, scientists have warned. The EAT-Lancet Commission has claimed that current diet trends across the globe are unsustainable, and must change over the next three decades to avoid environmental catastrophe. Consumption is expected to increase as the global population grows to 10 billion by 2050 while it will also become wealthier, with an expectation that more animal-based foods will be consumed as a result. But without change, current trends will lead to climate change, biodiversity loss, increased pollution, and unsustainable changes in water and land use. “The food we eat and how we produce it determines the health of people and the planet, and we are currently getting this seriously wrong,” says one of the study’s authors, Professor Tim Lang of the City, University of London. To solve this, the study recommends that the consumption of red meat and sugar should halve by 2050, and that the consumption of nuts, fruits, vegetables, and legumes should double. Meanwhile, it also says that fossil fuels should be eliminated in agricultural production, which should prevent further losses to biodiversity, and bring about improvements in fertiliser and water use efficiency. The findings represent the first scientific targets for healthy diets via sustainable food production systems, which operate within the planet’s ability to produce food. Using these targets, the report’s authors modelled various scenarios to develop a sustainable food system and deliver healthy diets by 2050. They found that major dietary changes, improved food production processes and reduced food waste are needed for planet to continue to be sustainable, and added that no single measure on its own would be enough to stay within the limits. They added that global collaboration would also be required, such as changes to the agriculture industry to focus on more varied nutrient-rich crops and increased governance of land and ocean use. “Humanity now poses a threat to the stability of the planet. Sustainability of the food system must therefore be defined from a planetary perspective,” said the study’s co-lead, Commissioner Professor Johan Rockström. The entire study and its dietary recommendations can be read here. Email “Red meat and sugar consumption must halve by 2050 to save planet, scientists warn”. 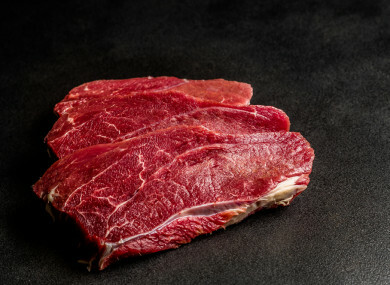 Feedback on “Red meat and sugar consumption must halve by 2050 to save planet, scientists warn”.